A masque was an elaborate private entertainment that grew in popularity in England during the 16th and 17th century until it became, arguably, one of the highest art forms in England. Many of the greatest writers, poets, songwriters, artists, architects and humanists of the time collaborated on these costumed spectacles of dance, vocal and instrumental music and speeches or theatrical scenes. The expense and extravagance of the English masque typically required a wealthy patron and were usually a courtly affair. Not surprisingly, Henry VIII, the accomplished musician, author and poet king oft remembered for his various indulgences, sponsored the first masque or ‘disguising’ in 1512. The masque began simply as a themed evening of social dancing. 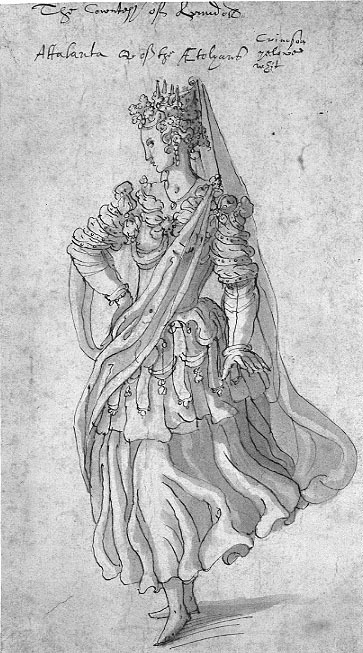 As it evolved during the reigns of Elizabeth I and Charles I, it began to resemble its origins more and more: the folk tradition (most memorably represented by the play-within-a-play “Pyramus and Thisbe” in Shakespeare’s A Midsummer Night’s Dream) of a masked troupe of players who would visit a court to offer gifts and entertainment around holidays and personal or state events worthy of celebration. Masques eventually grew more rigid in their structure: five short acts of a play performed by professional actors (usually a Classical allegory flattering to the patron) with interludes of formal dances or “entries.” The dances were truly what was important: some choreographed for practiced masked courtiers (“masquers”), others for unmasked professional dancers (these entries were called “antimasques”) and at least one “revel” or social dance for members of the audience. The music of masques was clearly important, but little is known about these pieces because almost no complete scores have survived. This is why so few masques are reconstructed for modern audiences (and probably why so many of us are asking: what’s a masque?). It is suspected that violin bands accompanied the main dances and sometimes woodwind bands the professional dancers. 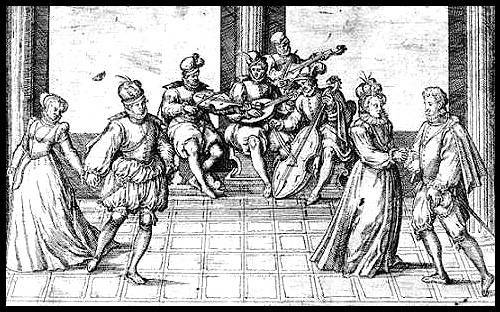 Probably while accompanying themselves on lutes, an ensemble of royal singers would introduce or comment on the dances through songs, many of which were popular beyond the walls of the court. So how is all of this related to the all-sung masques or “first English operas” of Baroque composers John Blow and Henry Purcell? Well, ahem, as you’ve no doubt read in our program notes, the English Civil War (sometimes called the Puritan Revolution) and the resulting first Commonwealth of England in the mid-17th century led to the closing of theatres, the banishment of secular music and even the destruction of church organs. The masque became so inextricably linked to Charles I’s absolutism and excessive lavishness that he was beheaded in front of the Banqueting House where most masques were held. Not surprisingly, after the Restoration of 1660, the masque never returned to the same level of popularity or extravagance as it enjoyed in the early 17th century. As a result, the art form changed, becoming less participatory and thus more reliant on the skills of professional players or highly practiced amateurs. As the social aspect of the entertainment was reduced, so was the importance of the formal dances (sorry, Mark Morris). This allowed the music to come front and center, especially within the context of the pioneering operatic works of Jean-Baptiste Lully, whose success remolding the Italian model meant that the new art form traveled far beyond the court of Louis XIV.